Join Lloyd and the Troma Team August 13th-14th at the annual Twin Tiers Comic-Con in Elmira, NY! Lloyd Kaufman, president of Troma Entertainment and creator of The Toxic Avenger along with star of Return to Nuke ‘Em High Volumes 1 & 2 Zac Amico will be appearing August 13 & 14th in Elmira, New York at Twin Tiers Comic-Con 2016 along with celebrity convention expert and star of Poultrygeist, Ron McKay, it was announced today by Elizabeth D’Ambrosio, spokesperson for Troma Entertainment. 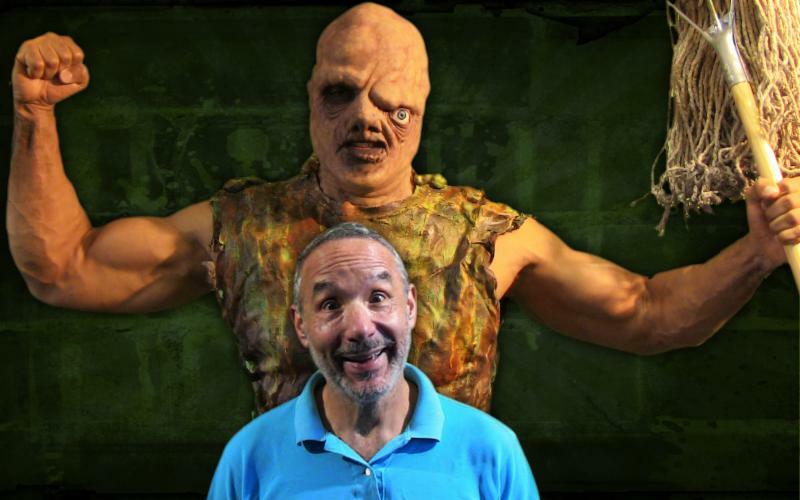 Lloyd Kaufman and The Toxic Avenger will be appearing for photos and signing autographs all weekend! Lloyd Kaufman and Zac Amico will be on site at the convention to appear in photographs and sign autographs for fans all weekend for FREE!!! He will also be giving a Master Class at 7 PM on Friday August 12th the night before the convention to offer words of wisdom to aspiring directors and movie-makers in the modern world, followed by an exclusive screening of Tromatic masterpiece about movie-making magic, 1999 Troma release, Terror Firmer, which was directed by Lloyd Kaufman. Terror Firmer will screen the night before Twin Tiers Comic-Con opens after Lloyd Kaufman’s Master Class! Zac Amico is both the star of Return to Nuke ‘Em High Volume 1 and upcoming soon to be released Troma sequel, Return to Return to Nuke ‘Em High AKA Volume 2. He is a working actor and touring comedian based out of New York City and a beloved member of the Troma Team. Super Tromette Megan Rose and The Toxic Avenger will also be appearing at the Troma booth to sign and pose for photos with fans. The Troma Movies booth will have hundreds of titles released on blu-ray and DVD from the company for sale as well as exciting convention exclusive merchandised newly released by Kaufman and the Troma Team. The new merchandise available at Twin Tiers Comic-Con 2016 includes a 5-color print t-shirt and an enamel pin of The Toxic Avenger, designed by Oakland based self-taught artist Skinner. Skinner has shown his work all over the world in various museums, galleries and universities as well as in public spaces through his large format murals. Skinner’s designs and artwork have been celebrated and published by contemporary art magazines including Juxtapoz, Hi-Fructose, and Beautiful Decay among a number of European publications. The new Toxie tee by Skinner will be available at the Troma Booth at Twin Tiers Comic-Con! Along with the Skinner Toxie portrait, enamel pins will also be available featuring Sgt. Kabukiman, N.Y.P.D. and a rendering of Toxie from his days of Toxic Crusaders. 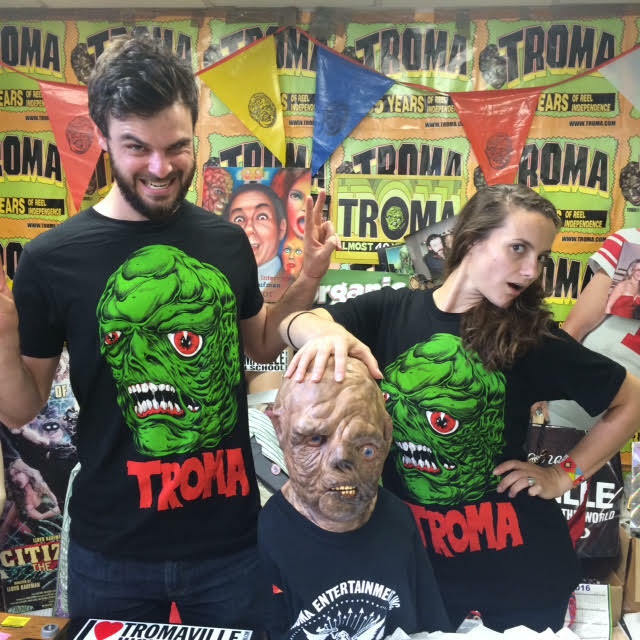 Iron-on patches, retro t-shirt designs, Poultrygeist fan novellas and all of the titles released by Troma Movies that have been released on blu-ray and DVD will be available to attendees of Twin Tiers Comic-Con 2016. This entry was posted on Thursday, August 13th, 2015 at 11:43 am	and is filed under Events. You can follow any responses to this entry through the RSS 2.0 feed. You can leave a response, or trackback from your own site.